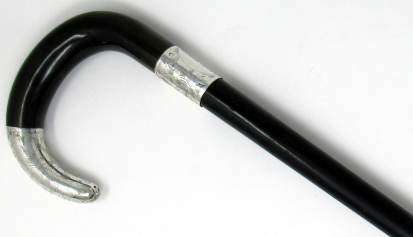 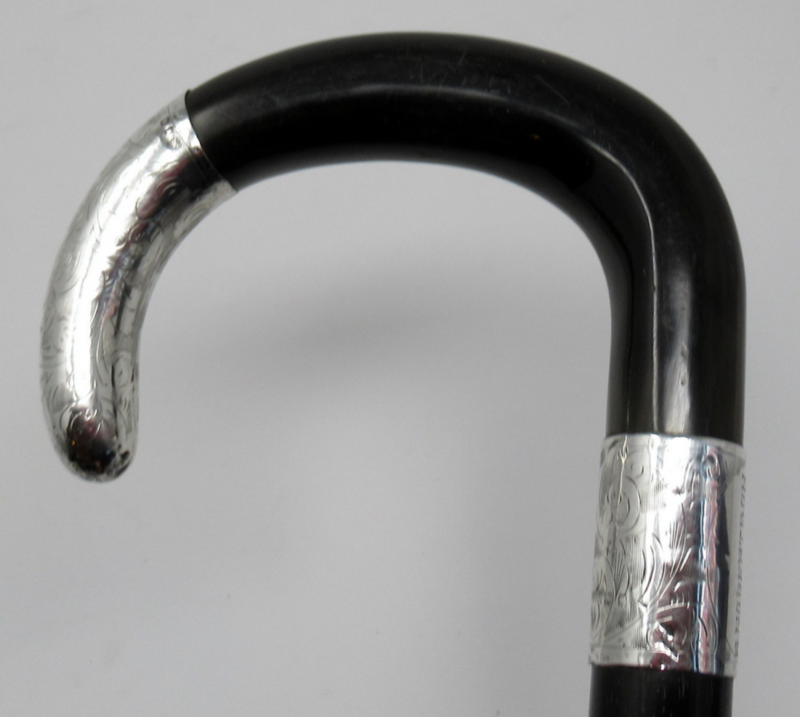 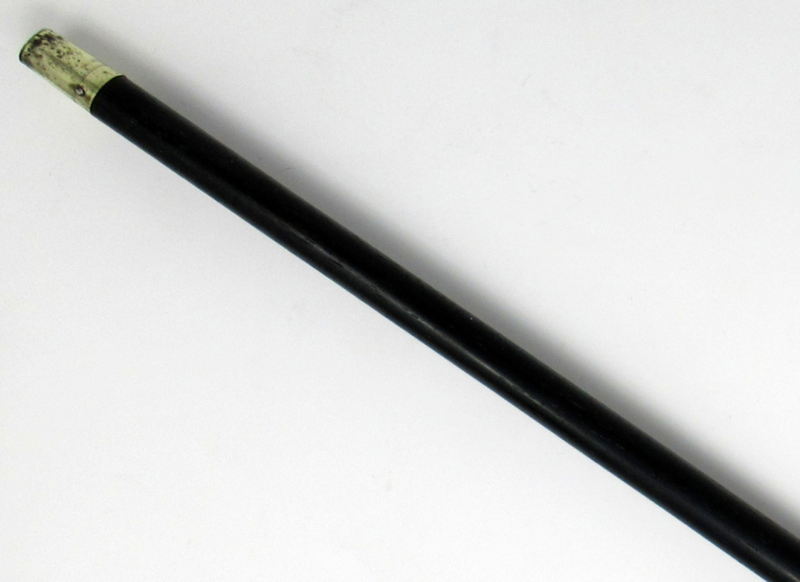 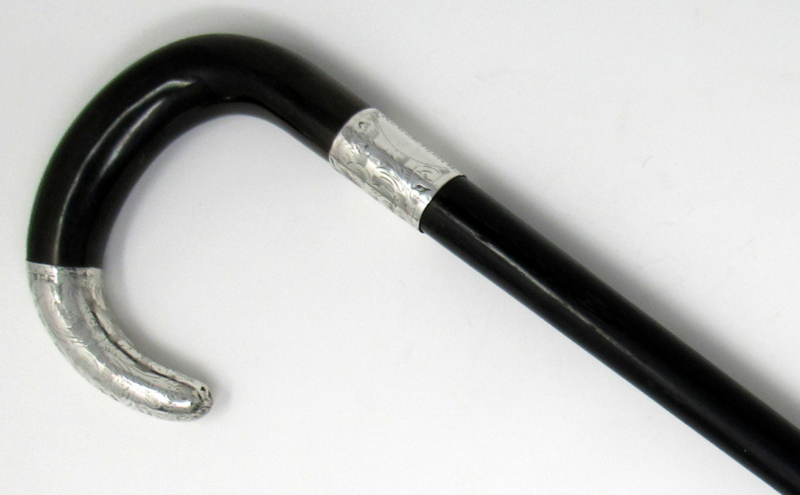 A Very Fine Quality Ladies or Gentleman's Ebonized Walking Stick of outstanding quality, with very stylish crook handle mounted with an embossed silver tip and collar. 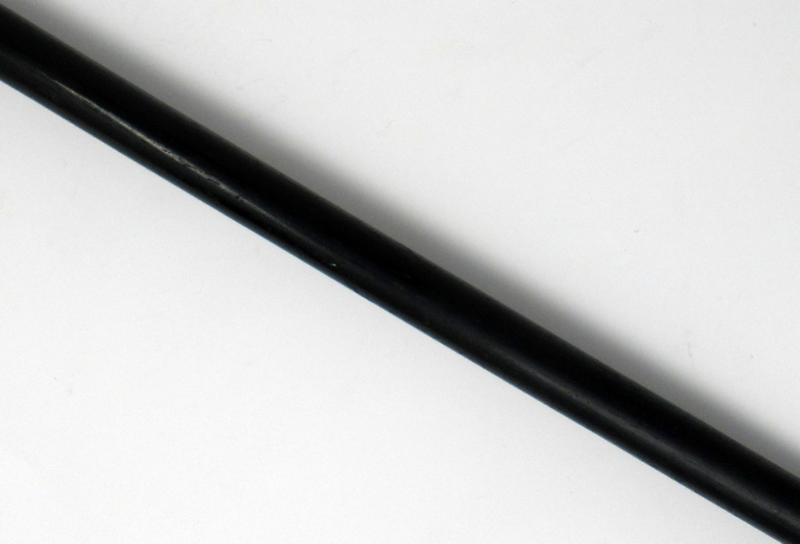 Complete with original bi-metal ferrule which is a little worn. Silver Makers Mark is indistinct. 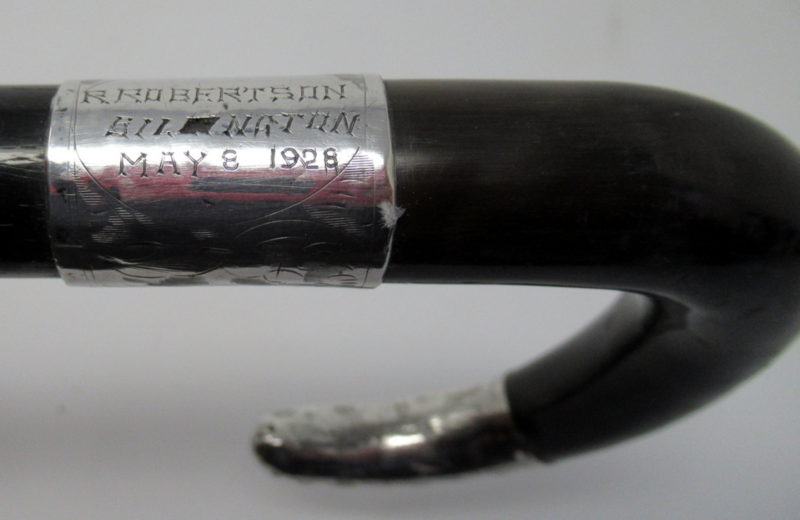 London Assay mark for 1926. 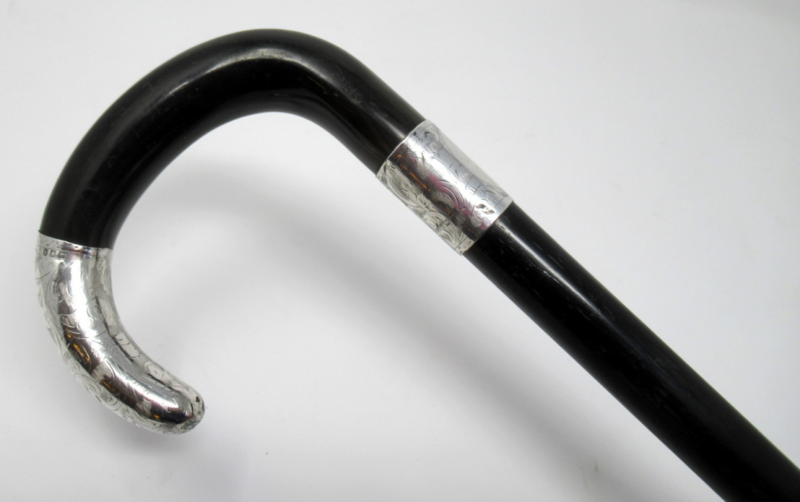 Condition: Good condition with nice patination on wood.